Albeit they do not provide a new perspective, the visuals and vocals of David Archculeta’s “Something ‘Bout Love” video are fresh and visually appealing. Also, Director Declan Whitebloom provided the audience with both widely popular and artistically appropriate details in his composition: the video is full of short clips of strangers doing altruistic, love-inspired deeds and is sprinkled with solar flares and shadowing. Archuleta’s message — that love is all-powerful, etc. — is successfully carried throughout the video. Acting as a third-person omniscient narrator, Archuleta serves as the video’s semi-invisible, all-knowing observer who knows, understands the effects of love on people. 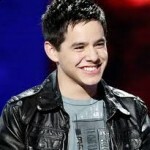 By creating a divide between Archuleta and the nameless characters, Archuleta is in turn closer connection to his viewers. 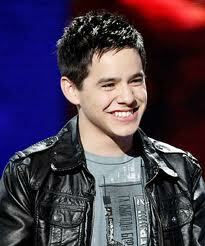 “Something ‘Bout Love” is a successful music video because Director Declan Whitebloom created a relationship between Archuleta and the viewer; the viewer is instantly attached to the catchy song and appealing video.